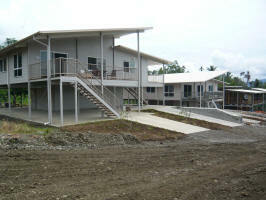 Construction of the Ezy Homes being built in Lae, PNG has continued through a long wet season, a 5.7 magnitude earthquake, and the odd riot. 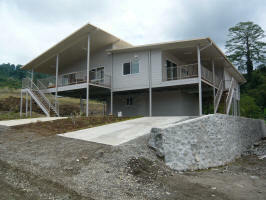 Below are pics of the 2 bedroom duplex’s nearing completion. 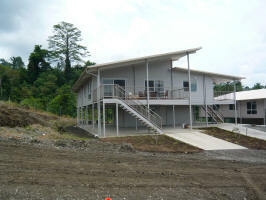 Ezy Homes construction system has made building in this difficult location fast & easy. Ezy Homes staff provided on-site training in the erection of the steel frame, then the developer of this project was able to use local (National) tradesmen and laborers to complete the homes to the standard shown in these pics.